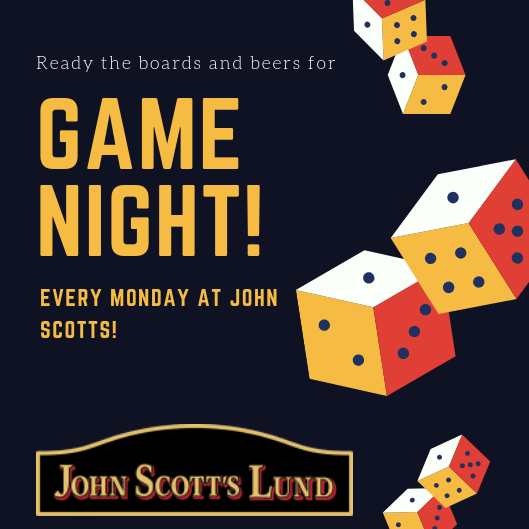 We want John Scotts to be a place to bring family and friends! That’s why we now have boardgame mondays! Bring your mates and see who knows most in Trivial pursuit, or find out if colonel Mustard killed Lady Peacock in the library with the candlestick by playing Cluedo! We’ve got backgammon, several decks of cards, chess and on and on it goes!